Win a bundle of 2015's best US TV box sets! Win a bundle of 2015’s best US TV box sets! Posted December 17, 2015 by William Martin & filed under Win. 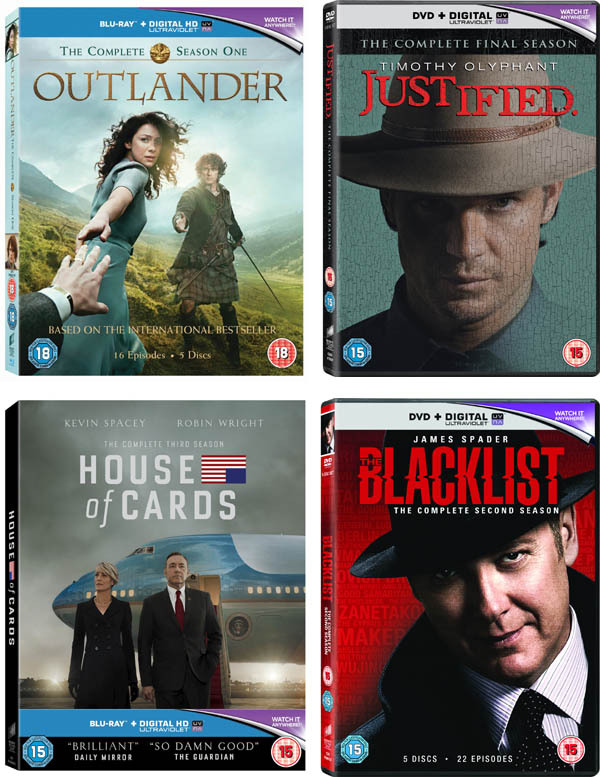 The perfect gifts for TV fans this Christmas, the latest seasons of Justified, House of Cards, Outlander and The Blacklist are out now on DVD and Blu-ray from Sony Picture Home Entertainment. We’ve got a bundle of all four box sets to give away to one of our Twitter followers! This competition has now closed. The winner is Maggie Lambert from Hull. Another competition that you can only enter if you’re on twitter. Darn! Isn’t there a way of entering that DOESN’T involve twitter?